Urbanization is becoming a global phenomenon as many people have recently moved from the countryside to large cities. We hear that about 50 percent of the world's population is living in large cities, and by the year 2050, this figure will increase to 75 percent.1 Just imagine, 75 percent of the world's population living in large cities! People move from the countryside to large cities for various reasons: a more convenient life in the city, the hope of getting a good education, and job opportunities. Many of those moving to big cities are young people. How do we reach this great number of people in large cities with the gospel message? The Northern Asia-Pacific Division (NSD) is the largest division of the world in terms of population. About 1.6 billion people are living in NSD territory.2 There are about 120 large cities with more than one million population. The largest city in the NSD territory has more than 30 million people in one city! Currently in the NSD territory, we have 54 schools: 6 colleges and universities, 19 secondary schools, and 28 primary schools. The total number of students is currently 20,842. We have some wonderful tertiary institutions. In Korea, we have Sahmyook University, a top-notch university, that has 6,356 students. In addition, we also have Aventist colleges in Japan, Taiwan, and Hong Kong. Although we do not have a college or university in China, we have several centers there where we teach theology courses to our young people. Recently, we started a new school, Chinese Theological Seminary. The seminary office is in Hong Kong, and it is working for our teaching centers in mainland China. What about the educational work in Mongolia? Mongolia is a very challenging country with a territory more than four times larger than Japan. It was under a communist regime for about 70 years until the early 1990s. For 70 long years, the people in Mongolia could not enjoy religious freedom. During this time, we did not have even one church there, or even one baptized Adventist member. But the Lord opened the door of mission in Mongolia. In 1991, a lay missionary family from the United States arrived in Mongolia and started sharing the three angels’ messages with the people. Since that time, God has blessed His work in Mongolia in many wonderful ways. Now, we have more than 2,300 baptized members in that country. Praise the Lord! About 70 percent of our church members in Mongolia are young people―college, university, and high school students. We need to give them an opportunity to receive an Adventist education. Therefore, a few years ago, we started an elementary school. It was a very small beginning with 18 students, but today we have 124 students. We are expecting to have about 300 students within a few years. Not long ago, I visited a local church in Mongolia. It was a ger church. Ger is the name for a Mongolian tent. It was early wintertime and very cold. The temperature was already minus five degrees (F). Inside the church, I found several students sleeping. When I asked them why they were sleeping in the church, they began to tell their story. 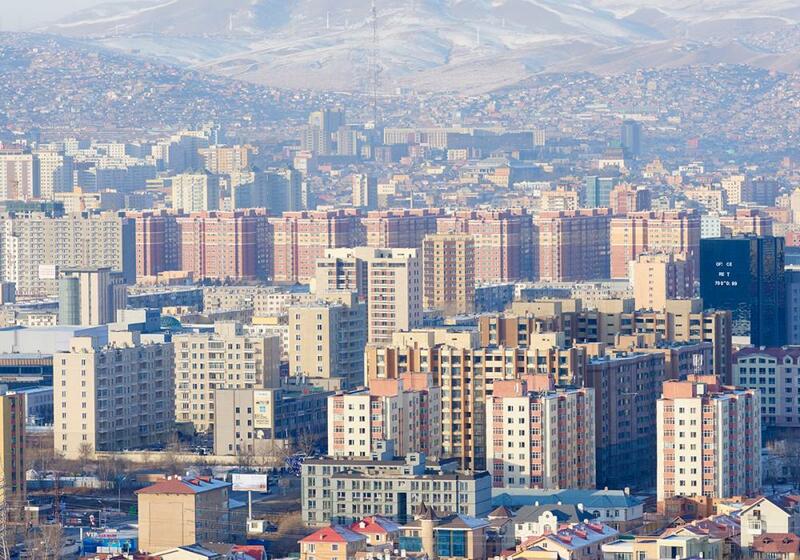 They were newly converted Adventist young people from the countryside who had moved to Ulaanbaatar City to study. They registered in college and university but did not have a place to stay. So they asked our church to allow them to stay there. When I saw where they were sleeping, my heart was broken. All the cement floors were cracked. There was only a small wooden stove at the center of the church. Their blankets were small and thin. Then I said to myself: "No, it must not be this way." In 2015, 39 students stayed in our dormitory. Some of them were non-Adventists. Each morning, these students went to their colleges and universities. They spent the whole day in schools and libraries, and in the evening they came back to the dormitory to stay with us. In 2015, five students were baptized through the dormitory ministry. Special Bible study classes. We teach courses such as denominational history, the Sabbath, and other fundamental beliefs of the Seventh-day Adventist Church. In this way, we are providing Adventist education to these young people. Weeks of spiritual emphasis and Sabbath worship services. Special music programs and mission-outreach programs. We invite them to participate in missionary activities. Spiritual life and career counseling. So, even though we do not have an Adventist college or university in Mongolia yet, we have a beautiful dormitory where our young people can stay and receive an Adventist education. We hope to establish many more dormitories in our division territory in order to provide an Adventist education to our young people, especially in large cities where there are no Adventist educational institutions. Jairyong Lee, ThD, is President of the Northern Asia-Pacific Division of the Seventh-day Adventist Church. He received his undergraduate training from Sahmyook University, Korea (BA in Theology), and pursued graduate education at Adventist International Institute of Advanced Studies (AIIAS), Philippines (MA in Religion and MDiv) and Andrews University, Berrien Springs, Michigan (ThD in Systematic Theology). 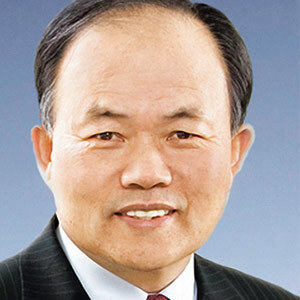 Dr. Lee has served in various roles within the Adventist Church—pastor, professor, and administrator. Seventh-day Adventist Yearbook online: http://www.adventistyearbook.org/ViewAdmField.aspx?AdmFieldID=NSD. The Northern Asia-Pacific Division is comprised of the following countries: China (including Hong Kong and Macao Special Adminstrative Regions), Democratic People’s Republic of Korea, Japan, Mongolia, Republic of Korea, and Taiwan. It includes the Japan and Korean union conferences; the Chinese Union Mission; the Taiwan Conference; and the Mongolia Mission of the Seventh-day Adventist Church. See Adventist Frontier Missions, Birth of a Dream: http://www.afmonline.org/about-us/our-history for the story of Brad and Cathie Jolly, the first Adventist missionaries to Mongolia. Two years later, the first Seventh-day Adventist Mongolian believers were baptized. See “Dormitory Seeks to Keep Young Adventists in Church in Mongolia” by Andrew McChesney, Adventist Review (March 7, 2016): http://www.adventistreview.org/church-news/story3777-dormitory-seeks-to-keep-young-adventists-in-church-in-mongolia.